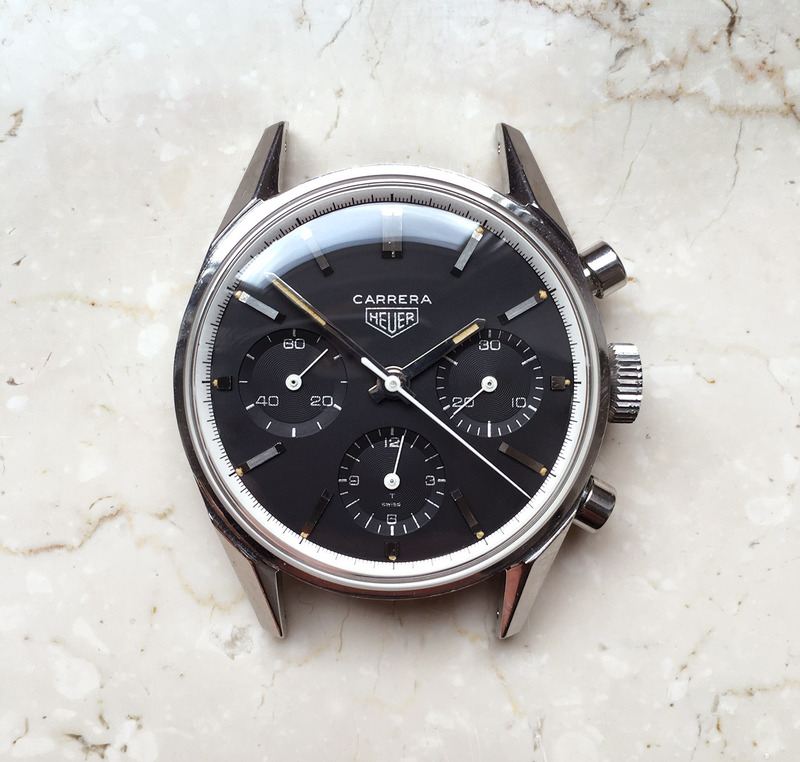 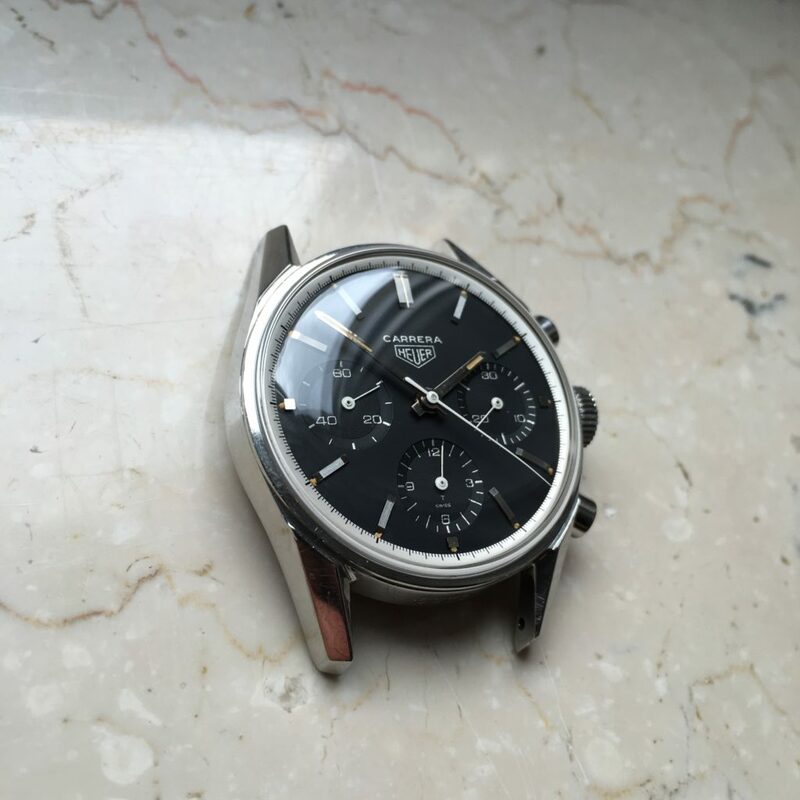 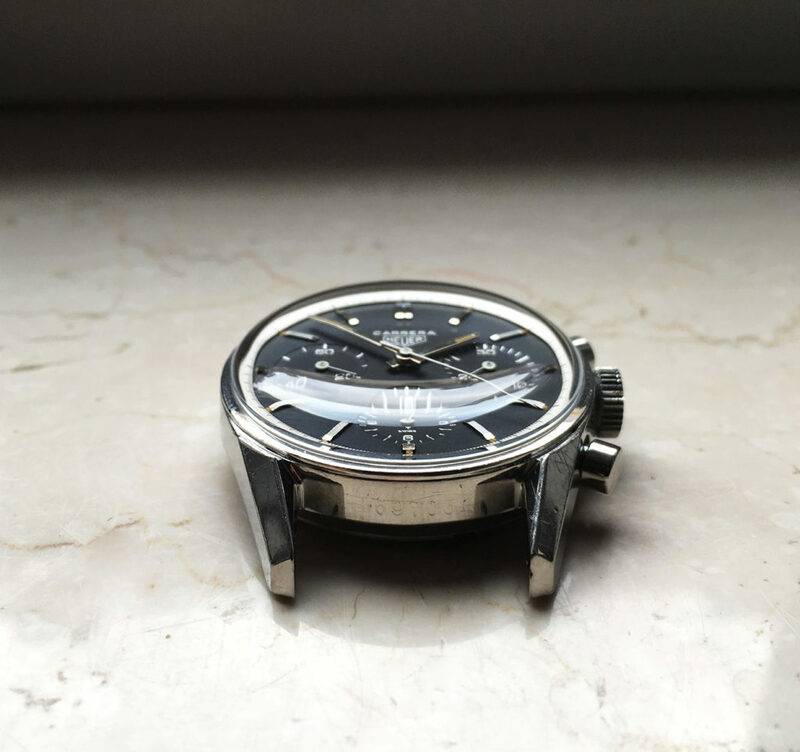 Carrera with unpolished case (serial 69xxx) . 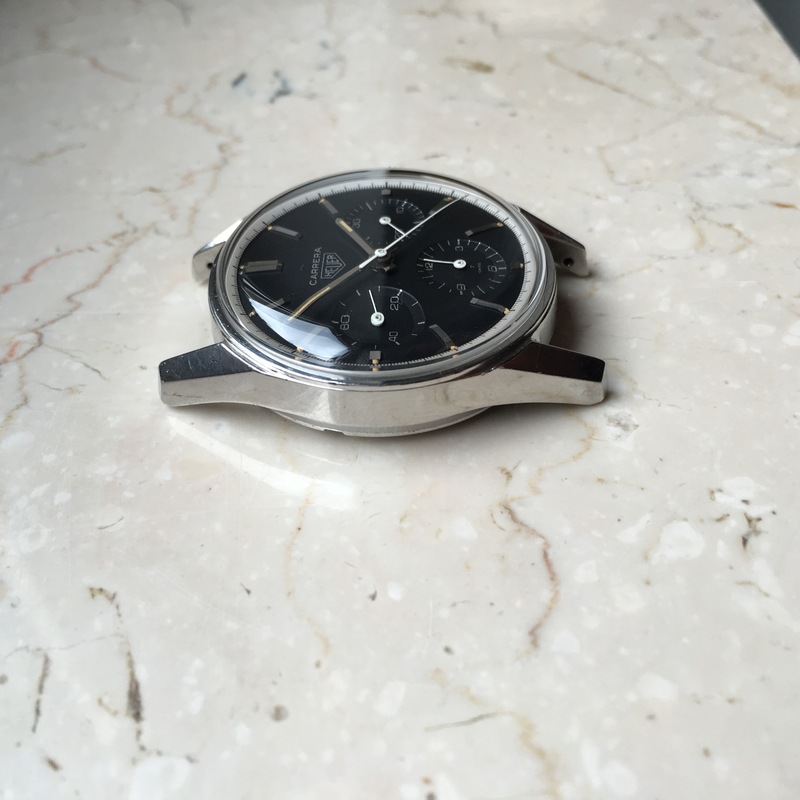 This piece is fully authentic in every part and it´s valjoux 72 runs perfectly. 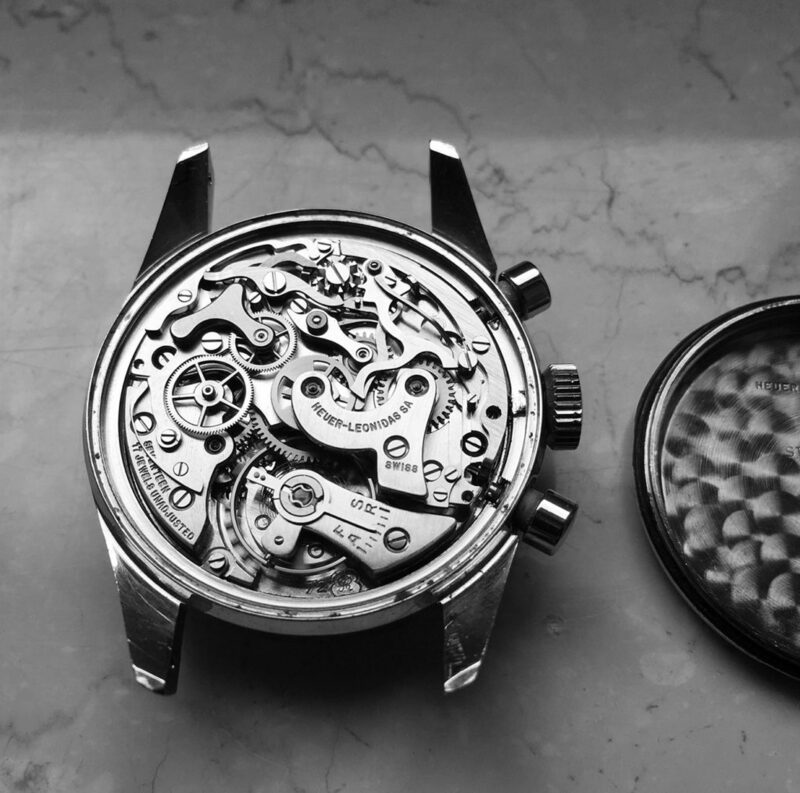 The Mk1 silverprinted Carrera is also known as the watch worn by famous racinglegend Bruce McLaren.